'My 5 feet impression.' I looked at it, touched it, liked it and bought it! To borrow from the Toyota lingo; "Five meter impression." It's the aesthetic appeal as the customer approaches the vehicle, gets in and drives the car for 5 meters. 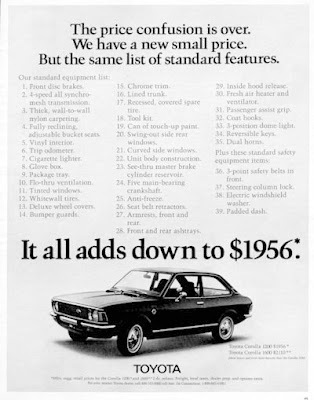 Now the designers believe that their car(namely the popular 40 year old Corolla) will sell itself within 16.4 feet. Toyota knows, a brand new Corolla rolls off a dealer's lot every forty seconds. I'll put a slightly different spin on this and use this design/marketing principle and apply it to my cycling shoes. As I opened the box and took them out I notice my elated sense of, "wow this is a beautifully made pair of cycling shoes." And my sense of smell was assaulted with the new plastic and synthetic material. As I tried them on they felt as comfortable like a moccasin. More to this, is when I started to ride with these booties. I feel faster with them on! I'm smiling. It's made an impression on me, I think's it working. 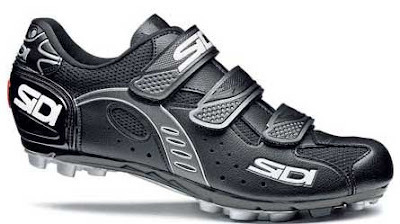 And you know, Toyota or Sidi designers may have something here. 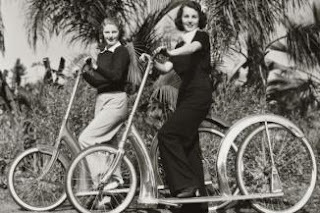 Bike's of yesteryear. Without realizing, 'The 5 meter impression' was most likely applied, even back then.